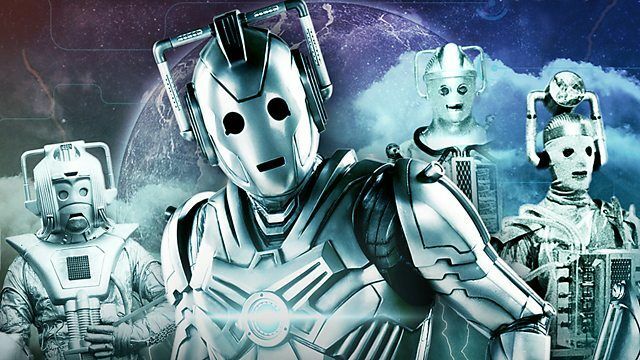 Cybermen—the second oldest major adversary in the Doctor Who universe. They were the brainchild of scientist Kit Peddler and screenwriter Gerry Davis; fascinated by the emerging science of organ and limb replacement, the pair wondered how far such procedures could go before the patients could no longer be considered human. Cybermen are an answer to that question: they’re people that have replaced so many of their organic components with mechanical substitutions that they are now both a product of and slave to technology. They’re driven by a strong sense of survival and perpetuation, and they assimilate other beings and “upgrade” them (rather like Star Trek’s Borg, except the Cybermen came 20 years earlier). They’ve been a mainstay on Doctor Who for 51 years, and this past Saturday night (June 24) they made a powerful reemergence on the show in “World Enough and Time,” the first episode of the series’ two-part tenth season finale. An extraordinarily dark and atmospheric episode, “World Enough and Time” makes the surprise move of bringing back the Cybermen as they looked in their first appearance in 1966, with cloth-wrapped faces, human-looking hands and a massive piece of machinery strapped to their chests. While decidedly low-tech (the show had a very meager budget in ’66), the original Cybermen had an almost cadaverous quality about them, making them a far more macabre threat than most any of their later iterations. The strength of “World Enough and Time” is that the majority of it takes place in a dark, creepy hospital in which injured or sick people are “repaired.” One of those injured persons is the Doctor’s young companion, Bill. With the episode focusing mostly on her, she discovers the horrible truth of what’s going on—and becomes a victim of it herself. Director Rachel Talalay (known for her work on the CW superhero shows and the cult classic Tank Girl) captures an incredibly ghastly atmosphere in the hospital scenes and returns a palpable sense of menace and fear to the Doctor’s longtime nemeses. 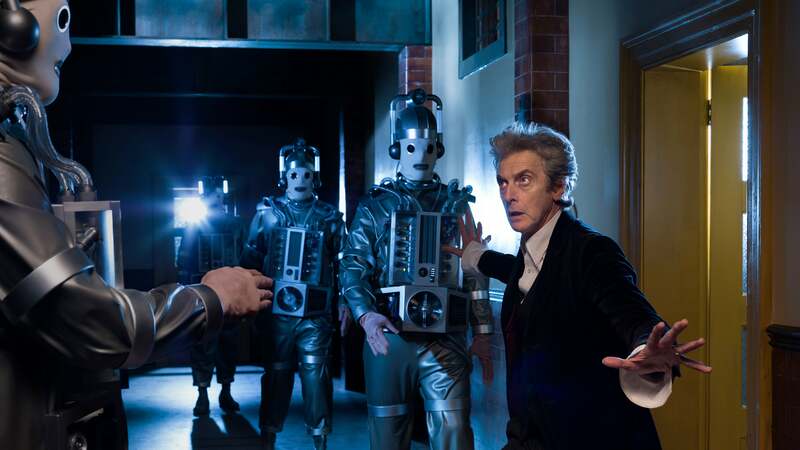 For anyone who may be less familiar with Cybermen and want to delve a little deeper into their history before watching next week’s finale, here are the five essential Doctor Who adventures that feature the silver nightmares. The story that ushered in the Cybermen but also ushered out the First Doctor (William Hartnell). The Doctor and his companions Polly and Ben land on Snowcap Base on the South Pole in the far future year 1986 as it is invaded by strange beings from another world. That world turns out to be Mondas, the long-missing twin planet of Earth and the birthplace of the original Cybermen. Mondas is dying and the Cybermen plan to syphon off energy from Earth to save it. In the process, they will relocate all of the Earth humans to Mondas and convert them into Cybermen. What’s interesting is that they see this as “saving” humanity—ridding them of pain, disease, aging, emotion, etc. and they can’t understand why we don’t want to go along with it. Polly, usually not the most assertive of characters, becomes the voice of passion and defiance against the cold, unfeeling logic of the Cybermen. In the end, Mondas absorbs too much energy and is destroyed in an energy buildup. But the stress of this adventure has taken its toll on the Doctor. He says that his body is “wearing a bit thin,” stumbles into the TARDIS and collapses to the floor. As Ben and Polly watch in shock, the Doctor undergoes his first regeneration . . . The parallels between “Tenth Planet” and “World Enough and Time” are numerous; “World Enough” takes place on a Mondasian colony ship and provides something of an origin story for the Cybermen. The most intriguing part of this past week’s episode is that we get teased with the Twelfth Doctor’s upcoming regeneration, which will occur in Peter Capaldi’s final episode on Christmas Day, and it seems to takes place in a very South Pole-looking snowy setting. To complete the parallel, the First Doctor is rumored to be appearing (played by David Bradley). In the far future, an archaeological team descends upon the planet Telos, the rumored final resting place of the Cybermen. But amongst the archaeologists are three people who secretly seek to revive the Cybermen and restore them to power, thus gaining power for themselves. The Second Doctor (Patrick Troughton), Jamie and Victoria find themselves reluctantly helping the team solve the various logic puzzles that will unlock the secrets sealed away in the Cybermen’s tomb. But the tomb is more than it appears to be—the Cybermen aren’t dead, they have simply lain dormant, waiting for beings of sufficient intelligence to reawaken them. They intend to convert the scientists into Cybermen, adding their knowledge and experience into the collective. This story introduces the CyberController, the big brain (literally) of the Cyber operation. While it may show its age a bit, it’s a taut thriller that mixes alien threat with the dangers of human greed and ambition. The sequence in which the Cybermen slowly awake and emerge from their tombs is one of the most iconic images in the history of the show. “Tomb” also illustrates how the Cybermen have evolved since their first appearance, becoming far more robotic than before—fully helmeted with squawky electronic voices, having excised even more of their humanity. The Cybermen really came into their own during the Second Doctor era (1966-1969), and Troughton here gives an electifying performance as his impish Doctor. Having not appeared at all during the Third Doctor era, and only once during the seven-year stretch of the Fourth (in 1974’s iffy-at-best “Revenge of the Cybermen”), the Cybermen break their long absence in “Earthshock,” their big, splashy 80s debut with a sleeker, more modern space-suited appearance. A freighter heading toward Earth in the year 2526 is unknowingly carrying a Cyber army in suspended animation. Earth is playing host to a conference of delegates from various worlds proposing alliance against the Cyber Armies; the Cybermen evacuate the freighter and turn it into a flying bomb that they plan to use to destroy Earth and the delegates. The Doctor (Peter Davison) and his friends do their best to divert the freighter away from Earth, managing only to shift it in time—about 65 million years into the past. The delegation is saved, but the dinosaurs are history. And one of the Doctor’s friends, Adric, sacrifices himself to ensure the planet is spared. “Earthshock” is a tense, action-packed story that draws inspiration from Alien. It also featured one of the show’s classic cliffhangers; with the production team having managed to keep the return of the Cybermen a complete secret, their reveal at the end of Episode 1 came as a complete, well, shock to the audience. Coming in his first season, this is the story that really starts to define the Fifth Doctor. When Doctor Who introduced the Cybermen in 1966 in a story set in 1986, literally no one at the time gave any thought to whether or not the show would still be on the air in 20 years’ time. So when 1985 rolled around and the show was still very much alive and in production, the logical thing to do was create a story that served as both a sequel and a prequel to “The Tenth Planet.” Thus, “Attack of the Cybermen” was born. The story, which also heavily references “The Tomb of the Cybermen,” is set on Telos and involves the Cyberfiends desperately attempting to change history and prevent the destruction of their home planet, Mondas. To do this, they intend to alter the course of Haley’s Comet and send it crashing into Earth. We learn that when the Cybermen occupied Telos, they all but wiped out that planet’s indigenous species, the Cryons—but a few continue to survive. “Attack” is a complex tale (it also features a character from the previous season’s “Resurrection of the Daleks”) that kicks off the Sixth Doctor’s first full season. It features two characters who have been unsuccessfully subjected to the Cyber conversion process, so they’re essentially stuck as half-Cybermen. While the Cryons are a tad on the unintentionally comical side, the idea is good and their bitchy dialogue is well written. It’s a dark (for its time) tale that revisits the Cybermen’s introduction and adds new dimensions to it, and establishes Colin Baker as an assertive and confident Sixth Doctor. After Doctor Who was canceled in 1989, it was brought back to screens around the world in 2005. 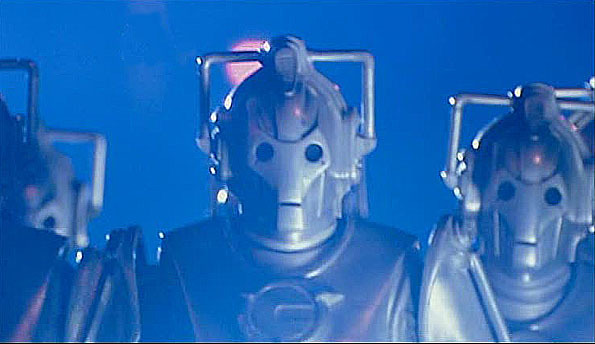 The centerpiece in the modern series’ second season was a reintroduction of the Cybermen. 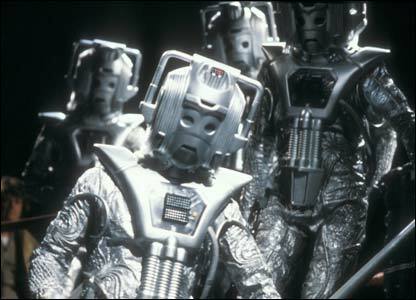 Rather than Mondas or Telos, though, these Cybermen originated on a parallel Earth. The TARDIS brings the Doctor (David Tennant) to a parallel world in which his companions’ loved ones—Rose’s father and Mickey’s grandmother—are still alive. The Cybus Corporation has been developing a means of extending life by taking the human brain and integrating into a metal body. The Corporation’s director, John Lumic, has been secretly experiment on the homeless, perfecting his process, driven by his desire to escape his broken, wheelchair-bound body. There are some genuinely creepy and disturbing scenes, such as one in the second episode in which a Cyberman’s programming starts to break down and the brain remembers her life before being converted. These Cybermen are a great deal more robotic than their classic series predecessors. Add in a subplot of Mickey getting involved in team of street vigilantes called the Preachers who are seeking to sabotage Cybus’ efforts, and the “Rise” two-parter delivers a good bit of real world grit. The finale of Series Ten of Doctor Who airs on BBC America Saturday, July 1 at 9:00 p.m. It stars Peter Capaldi as the Doctor, Pearl Mackie as Bill Potts and Matt Lucas as Nardole. It features Michelle Gomez as the Mistress, John Simm as the Master, as well as the 1966, 2006 and 2013 iterations of the Cybermen. Look for the follow-up article Doctor Who: The Master – The Five Essentials later this week.